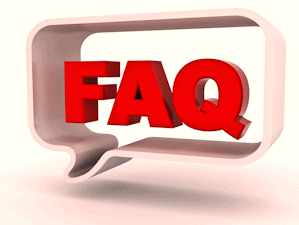 The FAQ's listed below are from Canadians living in the USA, UK, Australia, Hong Kong and many other countries who have visited this web site and have asked me questions that are of common concern. If you have a question that is not listed below, please check out the full Moving Back to Canada web site. It is comprehensive, up-to-date, and free! Still need help? Please engage professional support for your move back! 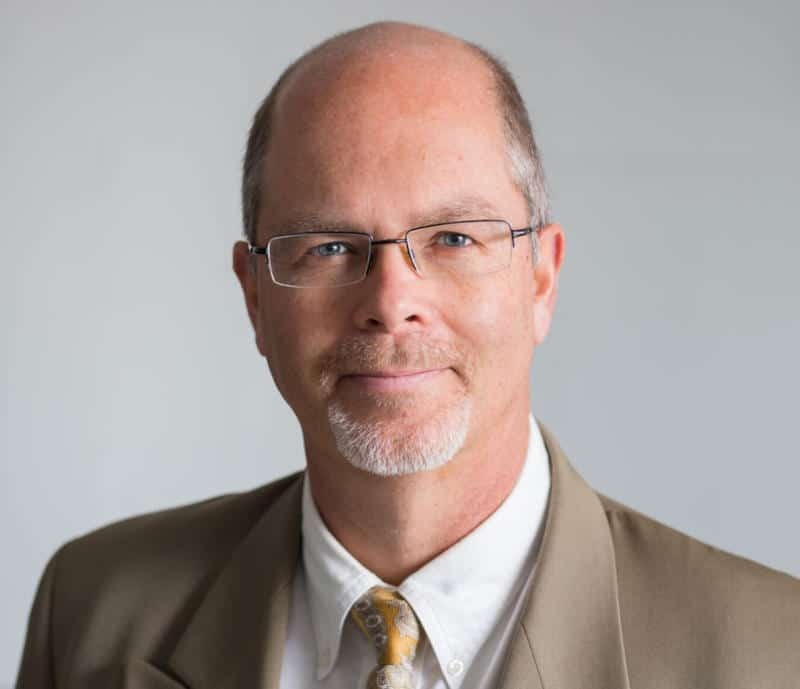 In this recent interview with Allan Nichols of the Canadian Expat Association, I highlight some of the key areas to prepare for as you plan your move back to Canada, based on questions I am frequently asked. 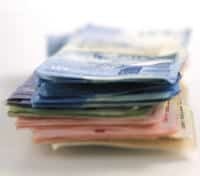 When I return to Canada do I have to pay taxes on the money I earned while living overseas? 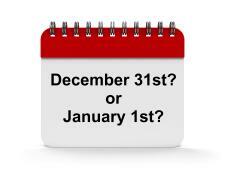 Should I move back to Canada on December 31st or January 1st of the following year for tax purposes? What do I need to do to "become" a resident of Canada again? 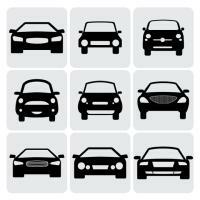 Can I bring my car (vehicle, trailer, RV, etc.) back to Canada? Can my foreign husband/wife/spouse come to Canada with me when I return, to live and work there? How do I give up my 'Green Card' when I move back to Canada from the U.S.? I want to change my last name. When should I do this? before or after I move back? How do I legally move my children back to Canada after my spouse and I separate/divorce? 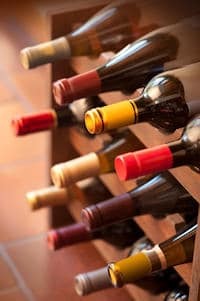 How do I bring my wine collection to Canada with me? Which provinces have a 3 month waiting period before I can get public health insurance? My old Canadian Social Insurance Number is "dormant". Can I get it back when I return to Canada? Or do I need to get a new one? How do I renew my Canadian Driver's License while I am living abroad? 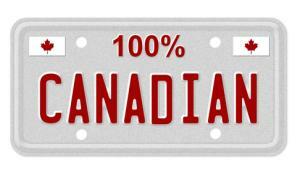 Can I purchase a vehicle in Canada, register it, license it, and insure it without having a Canadian driver's license? Declaring CDN $10,000 or more at the Canadian border/airport when you arrive: Is this only cash? What about gold and jewelry? I have no credit rating in Canada when I move back! How will I get a car loan or mortgage? Can I use my U.S. credit rating? Can I, and should I, buy real estate in Canada before moving back? What can I do when I have no credit history or landlord references in Canada? How can I rent (lease) a house, townhouse, apartment, or condominium to live in when I move back? How do I replace my lost or stolen wallet and/or Canadian passport and/or other identification that I might need to return to Canada? Your question not here? 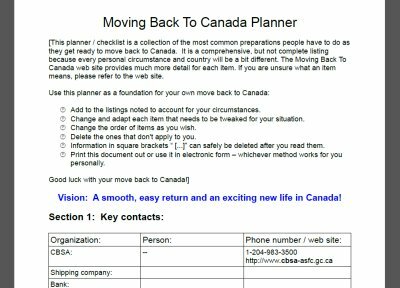 Check out the full Moving Back to Canada web site or engage my professional support for your return to Canada. Generally speaking, the answer is "no". If you have lived overseas for several years, had few ties to Canada while you were away, and established a clear residency outside of Canada, you will be considered to have been non-resident, and are not required to pay tax in Canada on your assets, investments, or income earned abroad. If you were gone only a short time - typically less than 2 years. If you own real estate in Canada that you still "live" in or have a dependent family member living in it. If you have a licensed and insured vehicle in Canada. If you use a Canadian bank credit card while living abroad. These "ties" to Canada can be signals to the Canadian Revenue Agency (CRA) that you are actually significantly tied to Canada and you may be "deemed" by the Canadian Government to have maintained your Canadian residency. Therefore you will be liable for Canadian taxes on your non-Canadian earnings. Another exception is if you work for the Government of Canada while outside the country. In this case, you are still considered a Canadian resident, unless you have some sort of special contract that stipulates otherwise. Countries that have a tax treaty with Canada (like the USA) ensure that double-taxation does not occur. If you paid tax in the U.S. while living there, you won't be taxed on your American earnings when you return to Canada. In summary, the dividing line on the tax issue is pretty straight-forward for most folks: If you live several years outside of Canada, with a clear severing from residential ties to Canada when you left, then you don't pay taxes in Canada. If you have been gone a short time and/or maintained ties to Canada: You pay taxes. Urban myth or truth? Is Canada a high tax country that leaves you much poorer every month than in the U.S., for example? Simple answer: Canada is not a high tax country. You keep most of your income! There are a lot of factors that complicate this answer and lead to "apples versus oranges" comparisons that really don't make sense. For example, is the government payroll deduction rate lower in the U.S. than in Canada? Yes. Does this mean you automatically have tons more cash in your pocket every month in the U.S. than in Canada? Absolutely not. If you compare overall costs of living between Canada and the U.S. over a 10 year period, for a middle class family of 4 who lead a healthy lifestyle, you will likely find little difference if you factor in housing price impacts, medical costs, healthy food, and other factors. A lot of people believe a myth that Canada is like Sweden - 80% of your pay goes to the government in taxes (not a fact, but yes, they do pay higher taxes in Sweden). The belief that Canada is a high tax country is simply not true. Check for yourself: The Canada Revenue Agency, of the Federal Government, provides an online payroll deductions calculator for you to play with and see what your "take home pay" looks like at various salary levels. Hint: Use a bi-weekly pay period and minimal claim levels in your calculation. And when you put in your salary, be sure it is your gross salary for 2 weeks pay, not your pay for a month or annually (assuming you chose a bi-weekly pay period). Canada is truly an "apple" and the U.S, an "orange". A much better comparison to use than financial pay comparisons is "quality of life". According to various "most livable cities" indices, Vancouver is typically about #5 in the world and Toronto is #15. Where do U.S. cities rank? Not even in the top 10. Mercer's ranking puts San Francisco, the first American city to appear on the list, as #27 in the world. Hmmm....now which country do you want to live in? Professional support for your move back to Canada. Neither. For 95% of returning Canadians there is no tax benefit or cost to moving back on December 31st or January 1st of the following year...or any other day of the year. Because you pay taxes in Canada on world-wide income earned, and capital gains accrued, only from the day you return to take up residence in Canada forward to the end of the calendar year. 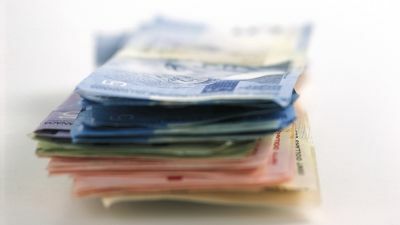 Any residual income or end-of-contract payouts from your time abroad that are received (not "earned") shortly after you return are similarly not taxed in Canada. So, feel free to move back any time of the year! And to be clear: You will not even declare foreign income or capital gains earned before you return on your first Canadian tax return, even if it was earned in the same calendar year as when you moved back. So, who are the 5% who do have a move timing issue? No, they are not you. Seriously. They are very special cases, such as: "Someone moving back to Canada to start an already arranged job in Canada that pays > CAD $100k per year AND who is choosing to collapse a U.S. 401k pension worth < CAD$200k per year". Or "Someone who is selling business assets or ownership shares with a complex multi-year payout including income/interest provisions in their agreement." If you are moving back to Canada with a complex set of variables to consider, such as the sale of a business and/or home, pensions, investments, a continued work relationship with an employer or customer in the U.S. or abroad, engage my professional support for your move back to Canada. There is a 95% change you won't have a timing issue. But it will feel a lot better to have this assurance. In some countries the government controls your residency, even if you are a citizen of that country. This is not the case in Canada: You do not need to "register" your residency upon return. No police will come knocking on your door. In fact, there is no way to actually "register" your residency in Canada! In order to bring your personal belongings back to Canada without duty or customs fees you have to verbally declare that you are a Canadian returning to take up residency in Canada when you cross the border, either by land, sea, or through an airport. Your belongings and possessions, called "household goods" or "HHG" in movers terminology, must be detailed clearly and fully in a list you make up beforehand. The	form you will need to complete, from the Canadian Federal Government's web site. In order to access services such as health care and libraries you will have to show some proof that you are now living in Canada. This can be an apartment rental lease, a utilities bill with your name and address, etc. Finally, on the first tax return you file, you will have to declare the date you resumed residency in Canada, so your taxes can be calculated from that point forward. That's about it. Your residency is formally "declared" upon crossing the border if you are returning with belongings to follow after you. If you have no goods to follow, you "become" a resident immediately upon arrival without declaring anything to the government. Access to services begins when you register for these services (exception: Medical, which starts 3 months after you arrive in some provinces) and tax implications begin through your first tax return filing. Bringing a car, other motorized vehicle (an RV for example), or a non-motorized trailer back to Canada can be pretty straight-forward, complicated, or impossible. I strongly suggest that anyone considering "importing" their vehicle to research their particular vehicle situation carefully. Note: You may only bring a vehicle into Canada from the U.S. Not from other countries. If you are returning from the U.S. with a vehicle you will have to work through the Registry of Imported Vehicles (RIV) web site. Suggestion: Start this process early! The USA page of this web site has more information and several very useful client experiences and tips on bringing your vehicle(s) back from the USA when you return to Canada. "What is interesting is that I did not know that if	you import a car that is on the RIV list and is also 15 years old it gets in	without duty, taxes etc and also does not have to go through the review process. Also the process for car exportation from the USA is a little	complicated as you must get an appointment and process all the paperwork 72 hours before arriving at the border and leaving the USA. Also it is	recommended to hire a broker and do the process through it." "you don't have anything on here about bringing your American car over the border for use in Canada. going thru hell right now, and have had a us car rental since the 1st wk in January; currently the 29th of January. have had to go over the rainbow bridge 3 times as of tomorrow it'll be 4 times to check on my car in a ford dealership, thank god for those guys, installed my day time running lights. so as such the resources would be good here, its a long drive from Niagara falls to Oklahoma city if I cant get the car over to Canada." However, they must become a legal Permanent Resident (PR) to be able to stay, live, and work for the long term. Note: A pilot program was introduced a few years ago to allow spouses living in Canada to work while waiting for their PR status. This is now a permanent program. Great news for many! NEW! Since creating this FAQ I have also built a more detailed resource on sponsoring spouses for PR status in Canada. Check it out for a full exploration of the PR process (including a visual diagram of the sponsorship pathways) or continue reading below for links to resources. Note: To be clear, your husband/wife/spouse will not immediately get Canadian citizenship - this is about getting them Permanent Resident status: the legal right to live and work in Canada. Application for Canadian citizenship is a related but different (and longer) process. An American comparable process is the "Green Card" versus "American Citizen". Marianne van der Meij, Regulated Canadian Immigration Consultant. I met with Marianne in 2017 and have referred several very satisfied clients to her. We have the same philosophy: Marianne is a high integrity professional who gives the best personal service. She does all the paperwork for her clients herself, so you know you are getting it done carefully and professionally. With some 20 years experience in the Canadian immigration field, Marianne can help with questions on a one-time-fee basis about spousal sponsorship, Permanent Resident status in Canada, etc. and can provide full support, if you wish, with any area of Canadian immigration. Marianne is located in BC, but helps clients coming from any country moving to anywhere in Canada. Note: I get no referral fee or any other form of compensation for this recommendation of Marianne's service. Paul Abraham, Regulated Canadian Immigration Consultant. Paul and I have communicated at length and have the same philosophy of integrity, transparency, and taking great care of our clients. He has long experience supporting clients with a variety of immigration questions and challenges and has lived and worked in the United Arab Emirates. Paul is physically in ON and soon NS, and can work with clients anywhere. I receive no referral fee or other compensation for this recommendation of Paul's services. 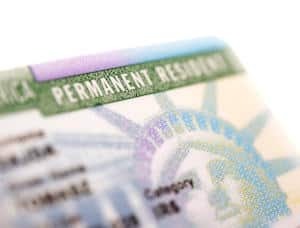 "Abandonment of lawful permanent resident LPR status"
I regularly get asked by my clients about when and how to formally end "green card" status. The central concern most have is the time frame - how long to keep their green cards before relinquishing them. Obviously if they are fully committed to moving back to Canada permanently they give up their green cards soon after moving back - within the first month. Some are uncertain, however, or have other considerations (discussed confidentially with me) so they wish to wait awhile before giving up their legal status in the U.S.
Visit a U.S. Consulate A faster route to relinquishing your green card. Check the U.S. Consulate nearest you in Canada for their hours and the process for you to follow to do this in-person there. Note: There is an emotional component to doing it in-person because there is an interview of sorts involved and you may be asked questions that might make you feel uncomfortable. But it works and clients note that once done they are pleased with the process at U.S. Consulates. At the border on your way out of the U.S. This works just fine but seems to be the most stressful, from the waiting time to the questions and tension sometimes experienced by clients. These are challenging times and it can be felt at different points where sensitive topics arise. Re: Options 2. or 3. above, one possibly startling question you will likely be asked verbally and in writing when you give up your Green Card: "Is this move in any way politically motivated?" The CBSA Officer you talk to at the land border or airport when you arrive has the power to let you in, or not. It is important, therefore, to be careful to understand how your past convictions will be assessed. The web site noted below details what you need to know. The key wording is "past convictions". Any outstanding warrants, on-going legal proceedings, recent convictions, etc. in the U.S. may result in you not being admitted into Canada. If you are really "done" with all legal complications in the U.S. or further abroad, you are in a good position to return and be allowed back into Canada. You will be allowed into Canada if you have outstanding debts in the U.S. or abroad, for example. Outstanding warrants for your arrest, fraud, skipping bail, pending court proceedings, serious recent convictions, etc. are the challenging situations that may make you inadmissible into Canada. If you left Canada with outstanding criminal or civil legal challenges outstanding in Canada when you left, you may find yourself challenged by CBSA officers when you arrive at the border, or even arrested at that time, depending on the severity of the situation when you left. In this case, it is highly advisable to seek legal counsel - a Canadian lawyer - before you arrive, to help you assess your case. The official Government of Canada "Overcome criminal convictions" page. In summary, having a complicated life legally in the past does not mean you can't come back to Canada. It does mean, however that you need to understand how the past may impact you, so you can return to Canada with confidence. Scenario: You are moving back to Canada soon after a change in marital status and you wish to change your last name. Now, however, you have a Canadian passport in your married name, and perhaps the same last name on a second country passport, driver's license, pension, legally registered on a real estate title, and more in Canada and/or in the country you are moving back to Canada from. I hear that there can be strong emotional reasons to change your last name and I honour that changing it promptly may feel really good. That said, changing your last right before, during, or immediately after a return to Canada can cause you grief in terms of legalities and logistics. So, if you don't have many months of time left before you move back, please consider changing your name after your move is fully completed. To be clear: The best time to change your name is BEFORE you return if you have complicated non-Canadian legal context because it is normally much easier to change a name while in the country you are going to leave, particularly if it is far away (Australia, Dubai, Hong Kong, etc.) But again, if you only have a few weeks or a month or two left before you return, waiting until you are back in Canada and fully settled is by far the easier time to change your last name from a legalities and logistics perspective. I will not soften this topic: It is usually a tough situation for the parent wishing to move back to Canada with her/his children. The other parent - the one who is being "left" when the initiating parent wants to move back to Canada - typically has the legal right to be involved in the lives of their children ("access to their children"), meaning that it is very difficult to move children out of a state/region/country without their written and legally attested permission. "So, that's it? I just give up and resign myself to being stuck here until my children are legally adults?!" First and most importantly: If you and/or your children are being abused or under real threat of physical, mental, or emotional abuse, take immediate steps to physically remove yourself and your children from the situation. Period. Go to a family member, friend, or transition house and seek police, social services, or other help to ensure you and your children's immediate and long-term safety. Safety is a human right and it is the responsibility of each parent to ensure that their dependent children are kept out of harm's way. 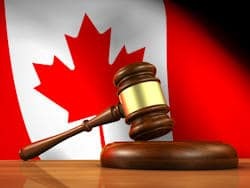 Once you are safe and have taken legal action to protect yourself and your children, you can begin a process to move back to Canada within the legal system of many countries. Getting the right to move your children to Canada can happen under such circumstances, even against the other parent's wishes. Surprisingly, many parents will agree to allow their children to leave to move back to Canada! Why? It frees them from the responsibility of having to raise their children, allows for a more peaceful marital separation, frees them to build a new relationship with someone else, and from a sadder human reality makes some feel like a victim/martyr ("My Ex took my children away") or makes them believe they will be able to keep more money for themselves after you and the children leave. Whatever the reason(s), with careful negotiation, right timing, and patience, you may be able to get the other parent to agree to you moving back to Canada with the children. If your personal situation and that of your children is very logistically challenged (no money, job, dangerous living conditions, etc.) and the other parent is not able to support their children, you can get the legal system in many places to allow you to leave with your children. I have heard of this happening for one parent in the UK who shared their story with me in 2018. It took 18 months to work through the legal system where they were living and the Canadian system on this end, but they got the right to leave with their children to move back to Canada. A long road to follow in most cases, but one that is possible if you are in challenging circumstances where you could create a better life for yourself and your children in Canada. GlobalARRK. If you are somewhere in the world that does not have a strong legal system and/or has legal or social constraints that will limit your mobility options, this organization may be able to help. "Action on Relocation and Return with Kids" and "Supporting Stuck Parents: those who have moved abroad and cannot legally return to live in their home country with their children". A Canadian's story of being stuck, on this web site. In summary, feeling you may not be able to move back to Canada with your children can be a big challenge emotionally and psychologically. Fact. And yes, you may be stuck for some time. 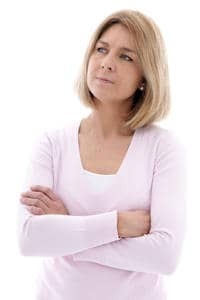 Acknowledging these realities may actually be the first step to finding a path forward...a path that with patience can lead you to the freedom and life you desire and need for yourself and your children. "Moving to Canada with a wine collection?" The provinces of British Columbia, Ontario, Quebec, and New Brunswick have a 3 month waiting period before you can access public health insurance. And so does the Yukon Territory. In all other provinces you can become insured immediately. 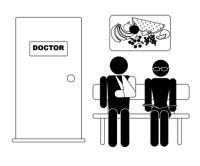 For the 3 month waiting period you can buy private health insurance. It is available through many major Canadian insurance companies. "For returning Canadians awaiting eligibility for the Government health insurance plan to begin." Tip: The Pacific Blue Cross plan also covers travel to the U.S. and Hawaii, in case you wish to travel there during the 3 month	waiting period! Check out the fine print of any policy...there are sometimes great bonuses built in! An alternative to the Blue Cross plans in Ontario and BC are very similar "Visitors to Canada" plans offered by the Canadian Automobile Association (CAA) in Ontario and the British Columbia Automobile Association (BCAA). These are very safe, trustworthy organizations and their insurance policies will also serve you well. Note: Paul Kurucz and this web site have no affiliation with Blue Cross, CAA, or BCAA, and do not receive any compensation for referrals to these organizations. Your Canadian Social Insurance number is used for all federal government services, by your employer to deduct and remit income tax, and for benefits you receive. It is yours for life. After 5 years of not being used, the Canadian government will make your number "dormant" to protect from fraudulent use of it. When you return to Canada either on a last vacation or scouting trip before you move back, or when you return permanently, visit a Federal Government "Service Canada" Office to have your Social Insurance Number "turned on" again. Easy. Alternatively, you can also initiate this process from outside of Canada by getting a form from the Canadian government and sending it to them. How can I renew my Canadian Driver's License while living abroad? Every province has their own driver licensing process, and all are a bit different. Below are British Columbia and Ontario processes, as examples. For other provinces, just Google: "[Province] Driver's License renewal" to find the appropriate provincial web site that explains that province's process. For all provinces, see the "IMPORTANT:" note below. In summary, they are pretty easy going - you can renew 6 months in advance or up to 3 years after it has expired. Note, however, that you cannot drive in Canada after it expires. If you go over 3 years, you will have to apply as a new applicant, with a written test, road test, etc. YUCK! Renewing a Canadian driver's license has implications for your residency status. If you are living outside of Canada and renew your Canadian driver's license while still outside of Canada, carefully weigh renewing against all your other ties to Canada. A driver's license renewal by itself is a very small tie to Canada. Renewing plus having other ties to Canada, such as a Canadian credit card and other ties, might constitute a case for the government claiming that you are actually still a resident of Canada, with resulting tax implications. If you are moving back to BC, specifically, and do not have a valid BC Driver's	License (BCDL), you may still purchase, register, license, and insure a	vehicle in BC. You are required to have a driver's license to drive the	vehicle, but it doesn't have to be a BCDL. The catch: In order to get a discount on your insurance for your	safe, no-accident driving, you require a BCDL. This means you will pay	full-price for your insurance without a BCDL. When you do get a BCDL, and you bring a record of your clean driving	history from another province or country within 6 months of the start of	your insurance policy, you will get a discount, pro-rated back to when you applied for the insurance, according to my conversation with ICBC, British Columbia's public vehicle insurer. "Manitoba appears to require you to be a "Manitoba resident" to register a car there, but MPI's website rate calculator appears to suggest it is possible to register and insure a vehicle there without a Manitoba driver's license, but you will not get any rate discount. The rate calculator also allows you to get a insurance quote as a "non-resident" and it is actually cheaper than a quote given for a resident (for lay-up coverage). Very weird." Note: I have no information on other provinces. Can anyone help me with this for other Canadian provinces? Banned items such as ivory. Controlled items, such as wine collections. 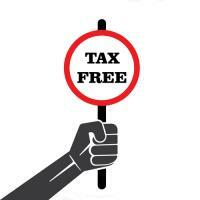 And they want to see any new, expensive items, such as a brand new C$3,500 Macbook Pro or a new $10,000 Persian rug because for these items you may have to pay taxes and duties. However, you only have a few rows on the BSF186 form to put a longer list of your items! So, you can make up a full list of what you are shipping using a Word Processor or Spreadsheet program, print it out, write "see attached" on the BSF186 form, and attach your list to the form. What about belongings you bring with you in your vehicle when you cross the border, or in your luggage when you arrive at a Canadian airport? For these belongings, make up a simple list of what you have with you to show the Canada Customs Officer. No BSF186 form needed for what you have in your vehicle or luggage, only for household goods that are arriving by shipment after you get to Canada yourself. Cash - CDN, USD, or any other currency. Physical stock and bond certificates, particularly "bearer bonds"
What is not included? Personal jewelry. If you have personally owned jewelry, that you have owned for a long time, and intend to keep in the future for your personal use (not re-sale), you do not have to declare it as part of the CDN $10,000 limit. This is irrespective of whether the jewelry is worth C$10,000, C$50,000, or more. Note: PLEASE don't bring really expensive jewelry, high values of gold, or other currencies with you when you travel! If you have over $50,000 in value for any of these, please use a secure shipping company instead - one that specializes in shipping valuables. This is just for security reasons! Thieves are smart: They seek information on people carrying valuables and can target you with sophisticated methods so as to relieve you of your valuables. Canada is generally a safe country and less of this kind of theft happens here than in other countries in the world. But it can still happen here, too. Finally, to answer a related question: No, you will not be taxed on the CDN $10,000 or more when you declare it. Seriously: No. Your legally and legitimately earned and owned money, gold, and other assets are not going to be taxed when you bring them back to Canada as part of your return to take up residence again. I have no credit rating in Canada when I move back! How will I get a car loan or mortgage? Can I use my U.S. credit rating? Lack of a current credit rating in Canada is a common concern of returning Canadians and those new to Canada. Without a recent credit history and up-to-date credit rating they are worried they can't get a credit card, utilities set up, a car loan, or a mortgage. Can you use your U.S. credit history? Most Canadian banks, credit unions, and trust companies do not recognize U.S. credit histories. Nor do utility companies or car financing organizations. The one exception relates to mortgages. A rare few lenders will consider your U.S. credit history as part of their overall determination of whether to offer you a mortgage (see tip below on mortgages). You can set up a bank account on your last visit to Canada before you move here or remotely from abroad, though the Royal Bank is the only bank that allows this. Details on this: Opening a bank account from outside of Canada. Keep your U.S. or foreign bank account and credit card for a month after you arrive, so that when you return to Canada you have them for emergencies before your financial services are set up here. Building a credit rating in Canada happens very quickly. Within 3 months of paying your bills on-time you are back in the "game" with a decent credit rating and will have all the credit you need. Within 6 months, you have a good credit rating and can access lines of credit, loans, and mortgages at preferable rates. It does NOT take years! Shop around! Please don't take the first institution's response as fact. Or the word of a friend or family member who asks at their local bank branch and hears from the 22 year old loan salesperson (who does not deal with expats or recent returnees and is only 2 months on the job) that you can't get a loan without a credit history. Or a comment you read on social media about how someone couldn't get _____ financial service and how miserable they are. Of all the hundreds of clients I have personally supported in their moves back to Canada I have never heard of one who found their lack of a current Canadian credit history as a significant problem in getting their life set up. Shop around and you will find many doors open immediately and simply. "That was easy!" you will say. Need a car loan? You can usually buy a car on credit through a new car dealer, though they may want a larger down-payment on the purchase. Even better: A used car dealer will fall over themselves trying to lend you money for a vehicle purchase. Why? Because they make money two ways: Selling you the vehicle and loaning you the money to buy it. As interest rates are so low on savings, used car dealers are normally quite eager to loan money at any rate higher than a bank will give them. So in most cases, you can get a decent car loan rate. Of course, shop around for the best deal you can get! Need a mortgage? Check out my dedicated "Buying Real Estate in Canada" resource to learn about getting a mortgage in Canada as an expat or recent returnee. Really, you can get one! In summary, most people are concerned that they won't be able to get a bank account, credit card, utilities set up, a car loan, or a mortgage when they return - the typical things a good credit rating will expedite. Trust that a lack of a credit rating won't seriously hinder you getting everything you need in short order when you move back to Canada. Location: If you know exactly where you are going to move back to in Canada it is easier to decide to buy real estate ahead of your return. However, are you planning on returning to the same place in Canada you lived when you left? Have you considered that you have changed since you have been living outside of Canada and if you left 10, 20 or even more years ago, you are now at a very different life stage than when you left? Where you "come from" in Canada may no longer be the ideal place to return to. Many returning Canadians now choose their target location in Canada based on the lifestyle they wish for now, and in the future, rather than based on the lifestyle they had when they left to go to the U.S. or abroad. How does this lifestyle choice affect a real estate purchase? Well, if you have any uncertainty about where in Canada you really want to live, don't buy a home ahead of your move. Instead, take a couple of weeks to visit Canada as an exploratory "how does this feel?" tour and/or consider renting a place for awhile before buying. I see many people renting for a few months in Victoria, Vancouver, Kelowna, Ottawa, and Montreal as "test runs" to determine if they want to live permanently in these places. Legalities: There are no legal reasons you cannot buy real estate in Canada before you return if you are a Canadian citizen. That said, buying real estate and renting it out or leaving it vacant until you return will likely have tax implications that you must be aware of to avoid penalties later. Taxation: Owning real estate in Canada will not, by itself, make you a resident of Canada for tax purposes. But, you do have to take precautions to ensure that your real estate in Canada is handled properly with the Canadian government. For example, if you are a non-resident landlord then you must handle rental income differently than if you were resident in Canada. 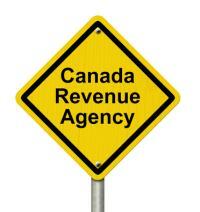 Canada Revenue Agency filings are required for all rental revenue received by non-residents. Of special note: In some popular places in BC and Ontario, non-resident Canadians now must pay a tax for the right to purchase and own property. Something to be aware of. Price: Many Canadians have been returning recently from the U.S., Hong Kong, and the Middle East and taking advantage of the USD/CAD exchange rate differential to buy real estate in Canada at a discount. This may be a factor for you to consider. Another price factor relates to location: In 2017 Vancouver passed $1 million dollars for the average home price. Obviously, real estate can be purchased at lower prices outside of Vancouver or Toronto. Visiting Canada ahead of a real estate purchase is strongly recommended to ensure that you understand the nature of price levels in the specific geographic area you are considering, including the part of a city you are targeting. Too many variables are "at play" in our economy at this time and you want to be sure you really understand them before you buy real estate anywhere in Canada. Mortgages: If you need a mortgage to buy real estate in Canada, and the mortgage would be a large percentage of the price, this will pose a challenge while you are non-resident. Traditional bank or trust company lenders do not understand the non-resident reality and you will have to work a bit harder to get a mortgage arranged. Please see the note below on my new resource page on buying real estate in Canada, which can be of help in this regard. 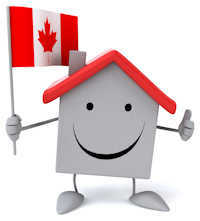 Many of my clients want to buy real estate in Canada prior to their return. During my consultations with them we explore a range of financial, tax, logistics, and lifestyle considerations prior to a purchase. This gives them significantly more clarity and confidence for their purchase considerations. Because this is a more complicated investment, I always recommend being very careful with your research, planning, and lifestyle considerations before buying Canadian real estate if you are still a non-resident of Canada. New resource! Check out the "Buying Real Estate in Canada" page on this site, for Canadians returning to live in Canada and Canadians living abroad and wanting to invest in property in Canada. What can I do when I have no credit history or landlord references in Canada? How can I rent (lease) a house, townhouse, apartment, or condo to live in when I move back? I once saw an application to rent an apartment that was 4 pages long and asked for an incredible amount of information, including bank account numbers, credit card numbers, etc. I just laughed and put about 1/4 of what was asked. That was all the landlord actually needed. No previous landlord references, to be clear. I did put a personal one, but it wasn't even checked. There is a lot of fear that comes up when considering renting an apartment, condominium, or house. "Will I win the lottery among all the people who apply?" "Will I be seen as a good potential tenant?" "Will I be rejected because I don't have a credit history in Canada?" Talk to property managers, leasing agents, and landlords yourself, in-person. No, don't try to rent a place completely by text message, email, whatsapp, or even by phone from abroad. Arrange to meet in-person. I estimate that 75% of the decision criteria landlords use is from their interpersonal interactions with a potential tenant. Since they cannot legally screen potential tenants using certain variables that are also impossible to identify from electronic communications, they rely on in-person conversations and "live" assessments of potential tenants. You might say "Yuck! Having to meet a potential landlord in-person makes my situation worse!!" Actually, quite the opposite: You are just returning from living in the U.S. or further abroad. And what the landlord sees: You have money! "All Canadians who lived abroad have money. That is why they went abroad - to make money." Your time out of Canada can be seen as an asset, whether you actually have a lot of money or not! And "NO!!" (said emphatically). Your race, gender, age, etc. are NOT the variables potential landlords use to screen potential tenants. Instead, they are looking for openness, honesty, maturity, conscientiousness, stability, cleanliness (hint: How you dress and present yourself = how you will take care of your rental property in the minds of a landlord), your expectations, your requirements, your lifestyle, your employment, etc. These are things you have control over presenting when you meet and communicate with potential landlords! In some places, you can engage the services of a real estate agent or personal representative to help you lease a place (I do this for some of my clients moving to Vancouver or Victoria). This agent or representative adds credibility to your story. When I arrive to view a property on behalf a client who can't make it to Canada to do so themselves, I ensure that my client is presented in the best light possible. And because I arrive professionally dressed, and act professionally, I am the proxy for my clients being trustworthy tenants. As an aside, Toronto is an example of a city in Canada where a real estate agent actually makes a commission from a signed lease, by-the-way, so they are motivated to find you a place and get the landlord to accept you as a tenant. Most small or medium sized cities in Canada do not have this kind of arrangement with real estate agents. If your first communications with a potential landlord is electronic, be sure to let them know you are a "Canadian citizen returning home to Canada after having lived and worked in _____". Not: "I was surfing in Hawaii for 5 years and am now moving back to Canada because I am broke and need a job." This is an exaggeration, of course, but you get the idea: Present yourself as an interesting and desirable potential tenant. When you send an application for tenancy, include a cover letter which includes the 3 reasons you will be a great tenant. Like with a cover letter for a job application, a rental cover letter sets you apart from 99% of others who do not do this. Hint: I did this once in a tight rental market and the property management company was VERY pleased to rent the house to me. From the way they treated me, there was no question that I was the #1 potential tenant. In summary, don't worry about not having a current Canadian credit history, no previous landlord references, etc. Instead, present yourself as an asset to a potential landlord and in no-time you will have a great place to live. Important note: If you are ever asked to wire-transfer a deposit after electronically communicating with a potential landlord, or are asked to pay funds in-person to "hold" a rental, for example, do not every send or give this money. There are regular scammers who fleece unwary and innocent renters and disappear with their money in major cities in Canada. You show up at your "rental property" to find the owners are at home and are very surprised to meet you, knowing nothing about any rental of their property. Please don't let this be you! I know you are concerned about renting a place. Having a place to move into when you arrive back in Canada will be a huge relief. But don't jump at the first opportunity to do so. Come to Canada first to visit, or stay in a short-term accommodation when you get here permanently first. Take the time to seek the perfect place, rented from a reputable property management company, leading agent, or landlord. - Contact the local police and file a report if you are sure of a theft. You may need a copy of this report for later bureaucratic hoops. 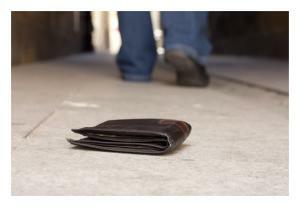 - Contact your bank and get your credit and debit cards cancelled and re-issued if you have lost your wallet. - Contact the nearest Canadian consulate or embassy and engage their help with replacing your passport. - If you are employed overseas, advise your employer of your situation and engage their help with any legal issues around replacing your lost/ stolen documentation. Often times your legal right to work in a country is tied specifically to your employer, not just to you. For example, you may need to get replacement proof of your work visa. - Let some close friends know your situation. You may need their help to vouch for you to authorities. Be proactive in getting the process underway. 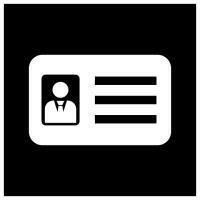 Replacement of your id is an urgent priority in your life. Don't delay. Do not try to travel regionally in your country of residence or internationally without your ID. Not every country has internal freedom of mobility as we do in Canada. And getting caught without your ID is often seen as a very suspicious situation by foreign police and officials. Don't risk it. Relax! You are not the first person to have their ID stolen. It happens. You likely not have been negligent. Just unfortunate. Replacing your ID follows well established processes, though will take a bit of time and money. Government of Canada - "Lost or stolen belongings abroad"
Government of Canada - "Lost, stolen, inaccessible, damaged or found passports"
Government of Canada - "Canadian offices abroad"